Get to know God. Never settle for knowing about God. Make it your life’s greatest ambition to really know and love the God who loves you. Be a Bible person, not an issue person. It is tempting to let certain issues define your ministry, but these will shift over the years. Instead of choosing a pet issue, develop an infectious passion for the Bible. Determine never to be a glory thief. 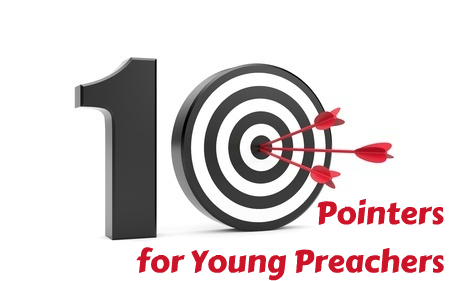 Decide now that showing-off has no place in your preaching. Always point listeners to Christ and not to yourself. God delights to lovingly give glory, but never steal it. Learn to discriminate feedback. People will praise a public speaker. You are more likely to lose your way through hyped up praise than through nasty criticism. Learn to pursue and process genuinely helpful feedback. Don’t let your homiletical skill get ahead of biblical and theological awareness.People will praise a public speaker, but they need a preacher who is biblically and theologically healthy. Don’t let your ministry profile get ahead of your character. Let your ministry move forward at God’s pace, otherwise you may get a profile too heavy for your character to bear. Learn to read wisely. Invest time in reading quality rather than quantity, widely rather than just your favorite author, and selectively rather than getting stuck in books you no longer want to finish. Prioritize books over blogs! Do not journey alone. Preaching is often a lonely ministry. Prayerfully pursue mentors and prayer partners who can speak into your life. Find a string of Bible read-through partners and chase God together in His Word. Have a lifelong conversation with God. There are too many technically capable and theologically informed preachers that have no meaningful relationship with God. Reblogged this on The Particular Baptist Journal.